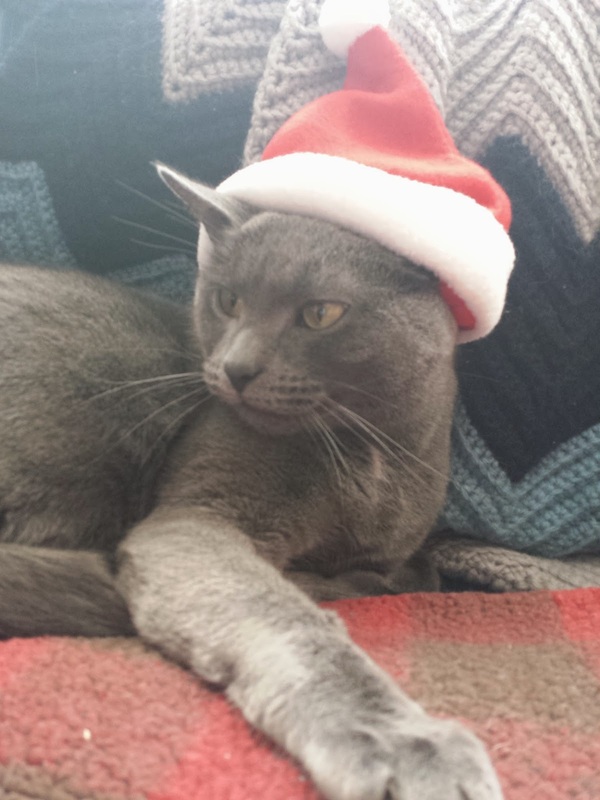 Okay a couple of words - Happy New Year! Tonight's dinner is from The Complete Cooking For Two Cookbook. 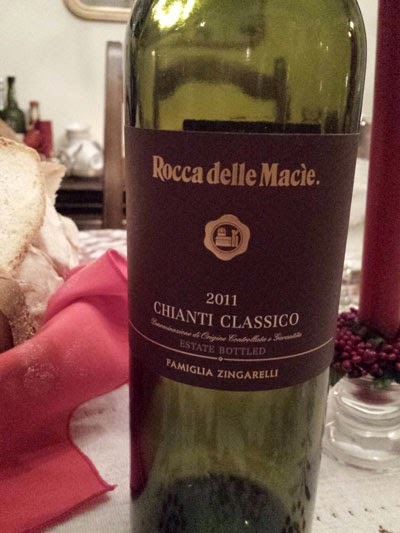 Even as I type this it was one of the most memorable meals I have had. February 23 - Short Rib Pot Pie. I don't think I need to even say anything about this. March 5 - Round Lasagna. It is just such an amazing dish! 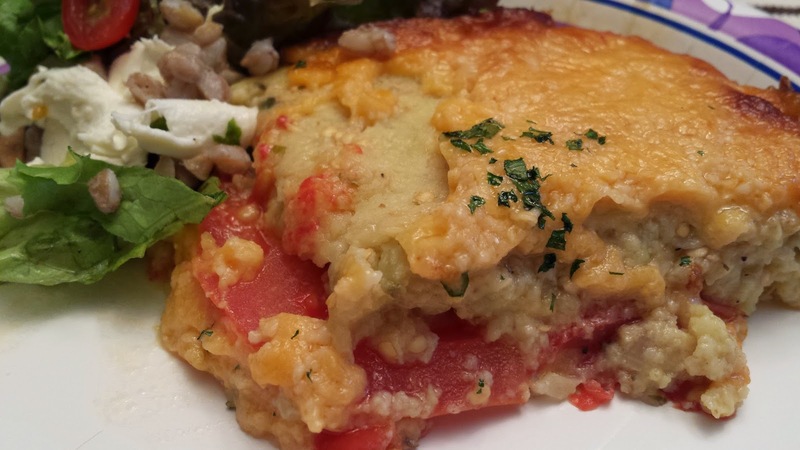 April 12 - Bread and Vegetable Lasagna. Any meatless meal that Chris likes is a winner. May 17 - The Stuffed Artichoke Recipe I Have Been Searching For. Just so close to my Mom's. 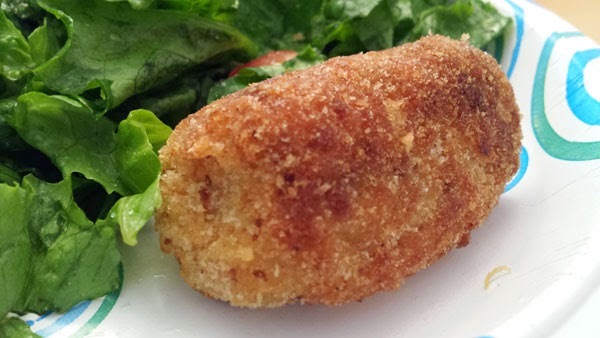 June 30 - Lenore's Chicken Croquettes. but I think this one was my favorite. July 8 - Eggplant and Tomato Casserole. When you have too many tomatoes make this! August 16 - Friselle con Pomodoro. 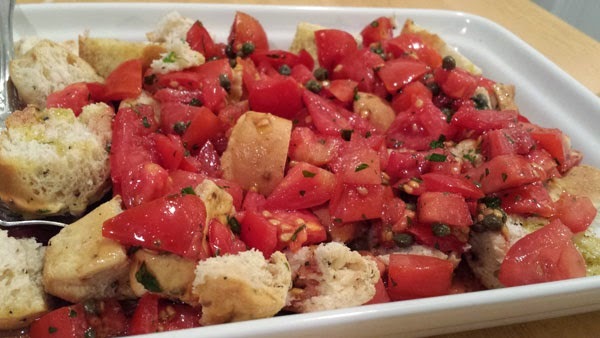 Anytime you have tomatoes make this! 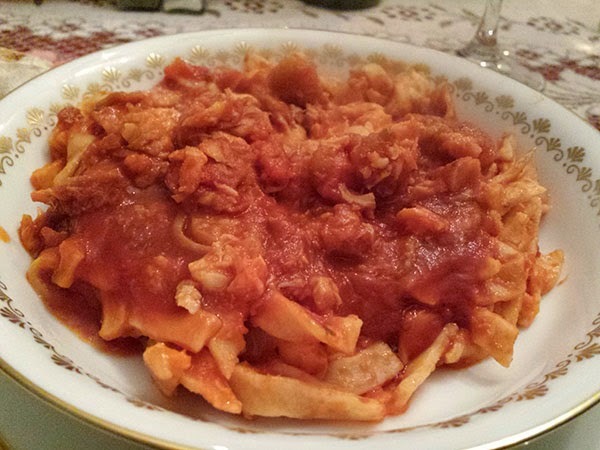 September 25 - Marcella Hazan's Tomato Sauce with Onion and Butter. This was a life changing recipe. I have always made a quick marinara the same way my Mom did. Sorry Mom but this is my new go to recipe. October 7 - One Tray Bake. 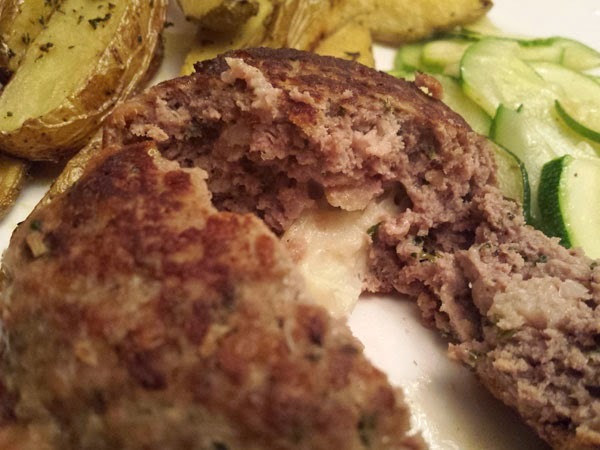 Jamie Oliver recipe. Always a winner! 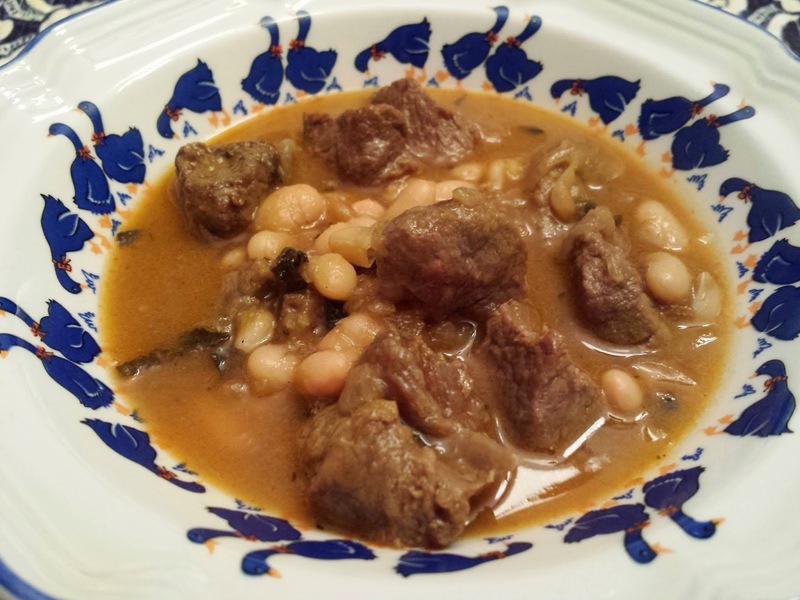 November 17 - Beef Stew with Cannellini Beans. Perfect for a cold night. 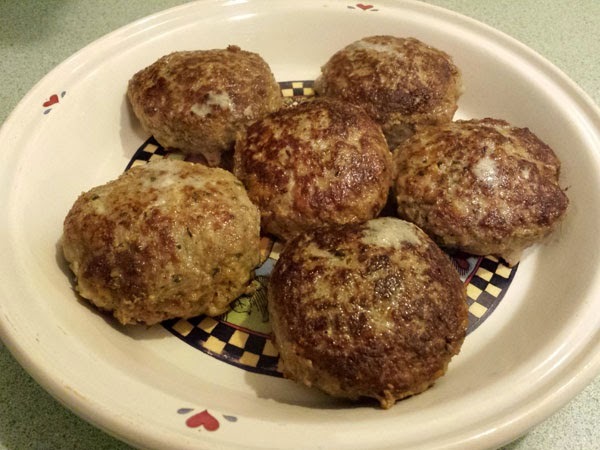 December 30 - Not My Mother's Meatballs. Yeah this beat out Christmas Eve and Christmas Day. 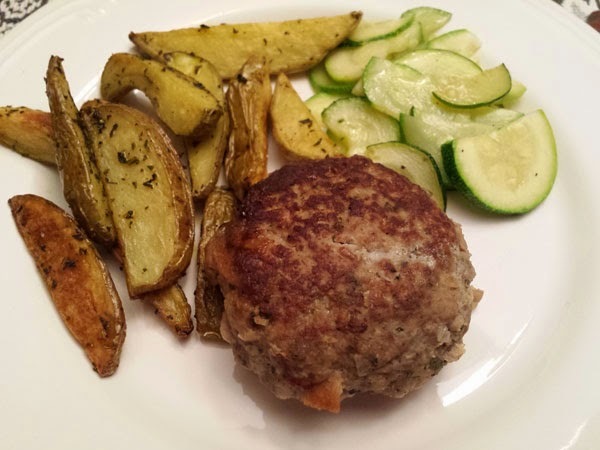 It was a fun recipe to make and these were tasty meatballs! 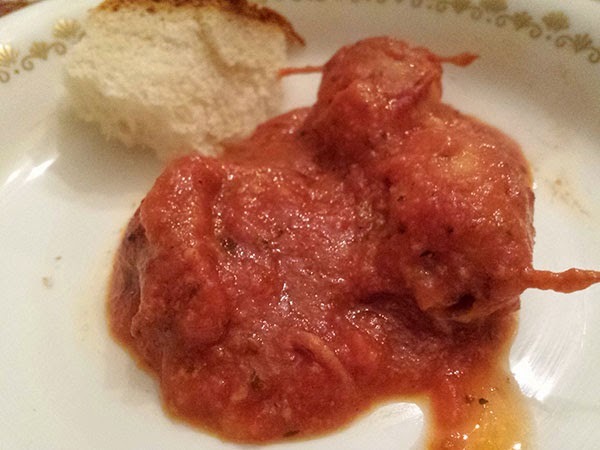 These meatballs are from Luca Manfé's My Italian Kitchen. 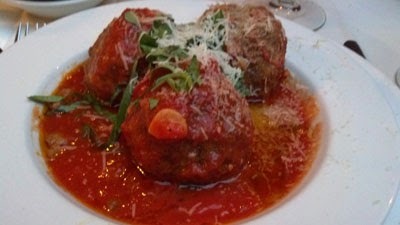 They are his mother's meatballs and they are delicious! I did make 2 changes in the original recipe. 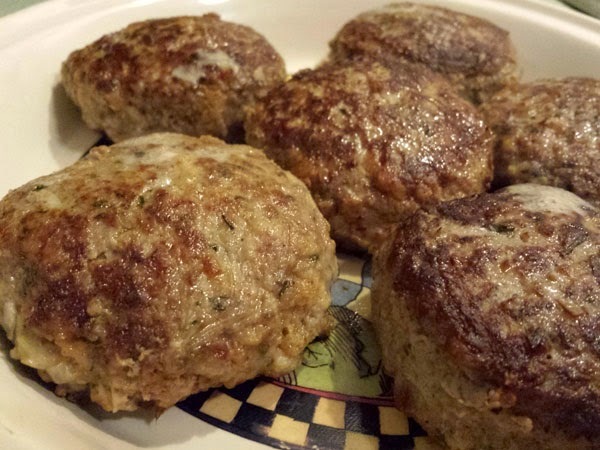 I only used one egg, not adding the 2 egg yolks called for in the recipe and I put some Mozzarella cheese in the center of each meatball. I figured it couldn't hurt. Delicious! One of the other cookbooks Chris gave me was MasterChef. In it was a recipe for homemade Orecchiette. Okay first mistake was to use a new pasta recipe. I should have made my usual recipe. The MasterChef recipe was rather dry, but next time... Making or should I say shaping the Orecchiette took a while to get the shape right. I actually watched a couple YouTube videos of "older" Italian women making Orecchiette. Holy cow I was ready to give up after watching them. It was like they were on speed. It took me an hour and a half to make this pasta, just shaping it. Perhaps with practice I can reduce my production time. Okay back to Luca's recipe. Pretty easy to follow. I make pasta with zucchini quite often. 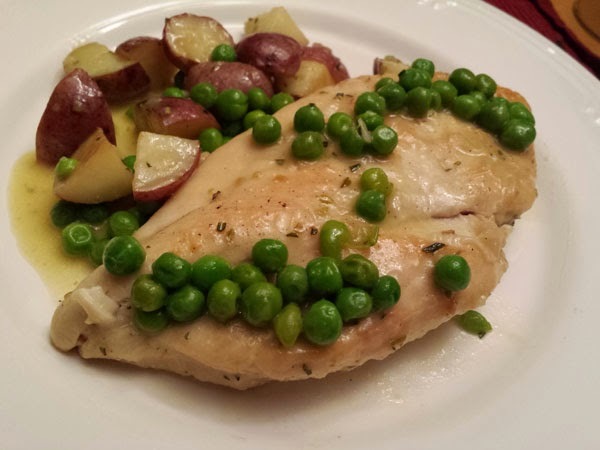 The addition of the mint lightened up the dish and I actually had the fresh mint in the fridge. Oh, I did make one change. 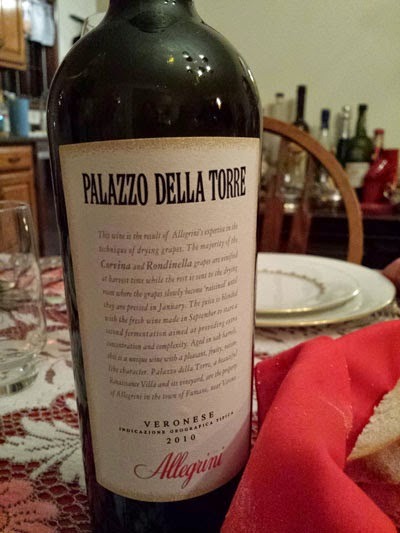 I added a little white wine after adding the pasta to the saute pan. Sorry I could not help myself. 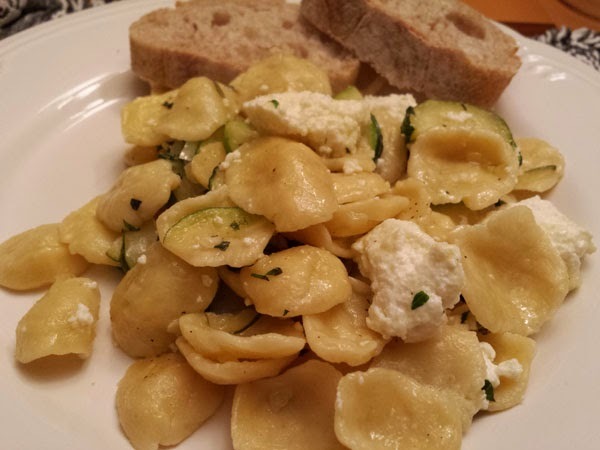 My version of Orecchiette with Zucchini, Ricotta and Mint, from My Italian Kitchen by Luca Manfré. Heat 2 tbsp oil in saute pan over medium high heat. Add the shallots and zucchini and season with salt and pepper. Cook, stirring often, until softened, about 5 minutes. Bring a large pot of salted water to a boil. 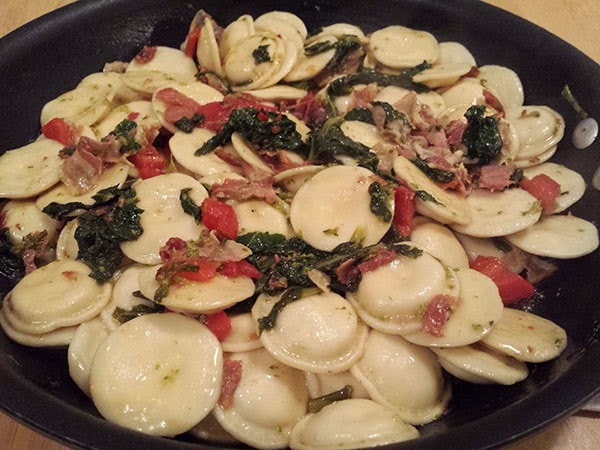 Add the Orecchiette and cook until al dente. 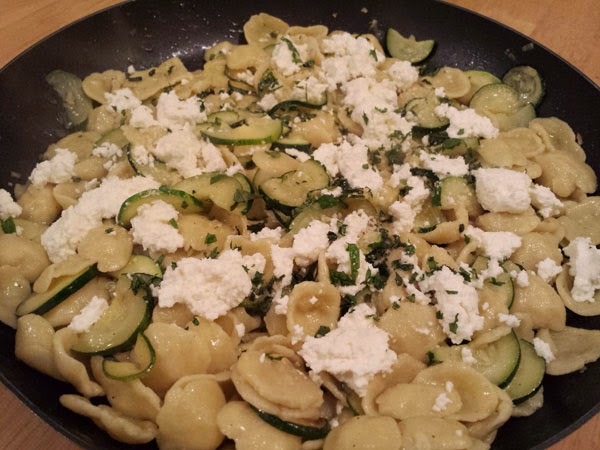 Transfer the cooked pasta to the pan with the zucchini, adding some pasta water and the white wine. Cook for 4 to 5 minutes. Add the ricotta and the mint and turn off the heat. Garnish with Parmesan cheese. Yes it is Sunday. Doesn't feel like a Sunday but I can deal with some time off. I had the pizza dough in the freezer. I sauteed some onions and cooked bacon for the topping. I had a little spinach left from our salad on Friday night. That got sauteed and seasoned with salt, pepper and crushed red pepper. The sauce was just crushed tomatoes and oregano. The crust was put in the pan and then I let it rise in the pan for an hour. 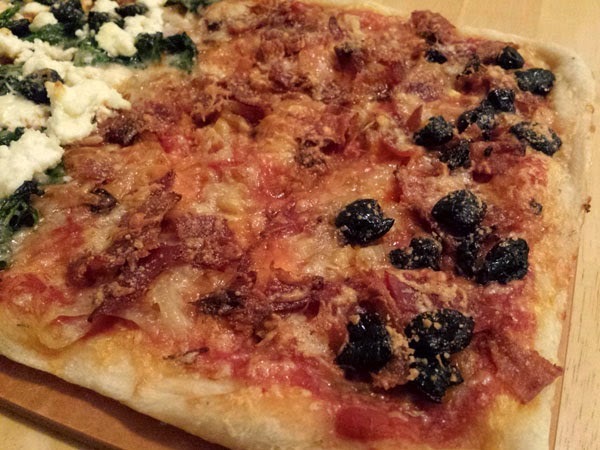 Some Parmesan was sprinkled on top and the sauce was spread onto the crust. I made half of the pie just bacon and onion. 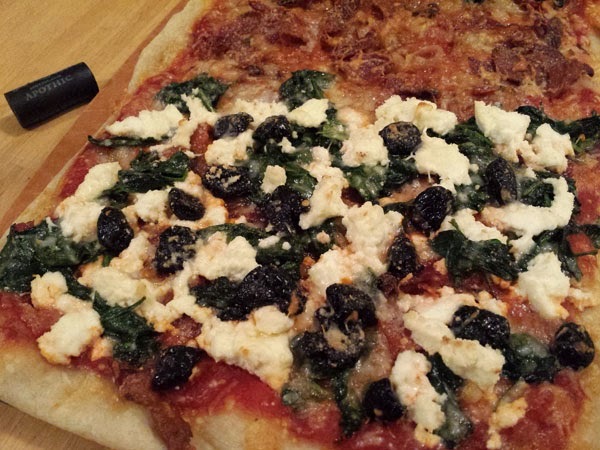 The other half had the spinach, some onions, fresh ricotta and olives. 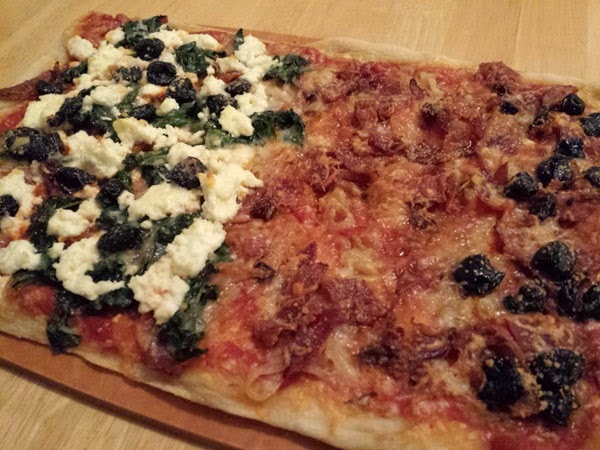 Parmesan and Mozzarella was sprinkled atop the whole pie and a bit of olive oil was splashed on top. Delicious! 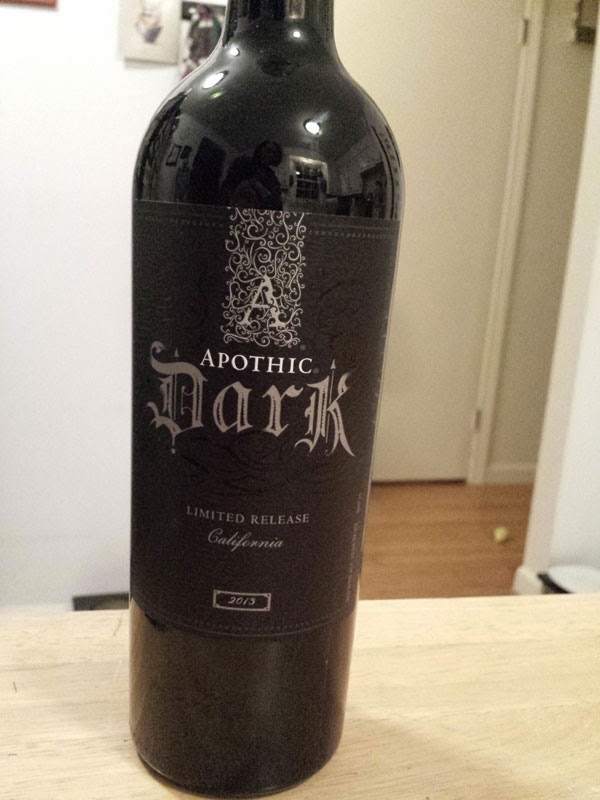 We opened a bottle of wine which I gave Chris for Christmas, Apothic Dark. Very, very good! 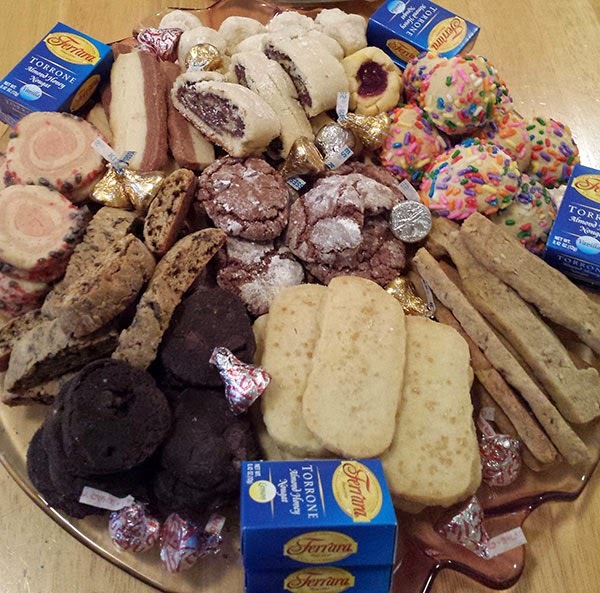 Eating the day after Christmas seems unnecessary. But we must eat. And I had to keep it light. One of the nice things about having Christmas dinner at our house is that my sister gives us a pot of Cappelletti. I love this soup so much. Tonight we had the soup with a salad. 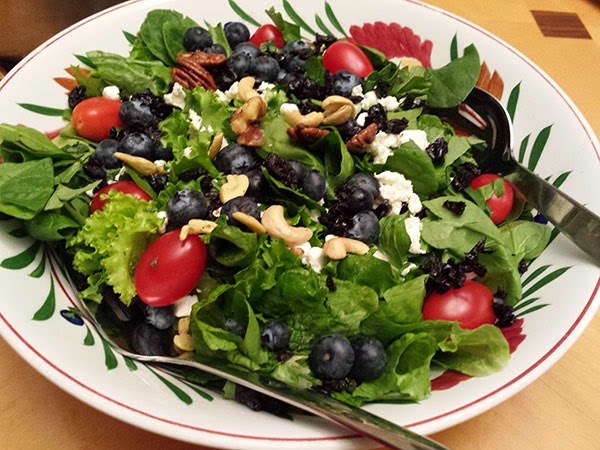 The salad consisted of green leaf and baby spinach. I picked up Cherry Tomatoes and fresh Blueberries. Everything else was leftover. 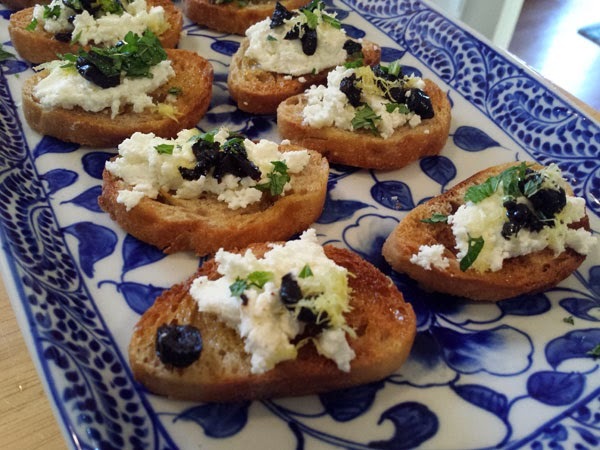 There were roasted nuts, some of the homemade Ricotta and olives and mint that were not used for the Crostini. I used one of my new cookbooks for the salad dressing. 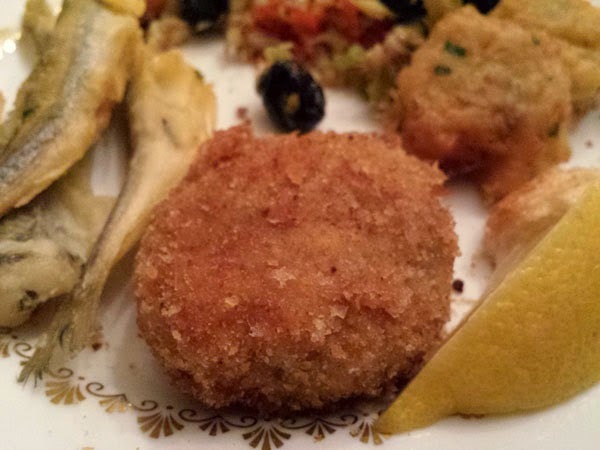 A Lemon Vinaigrette from My Italian Kitchen by Luca Manfré. 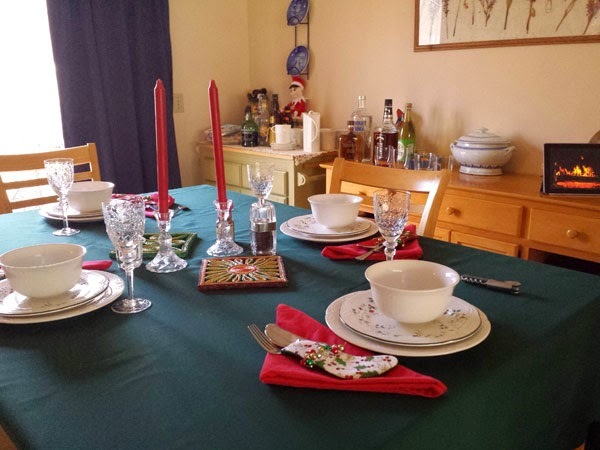 It was perfect for the day after the Christmas and Christmas Eve feasts! We started with appetizers and cocktails. 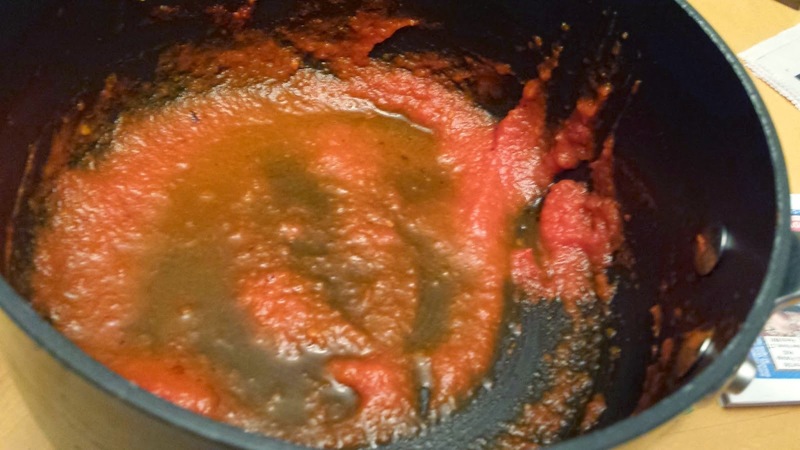 Marcella Hazan's Tomato Sauce with Onion and Butter. 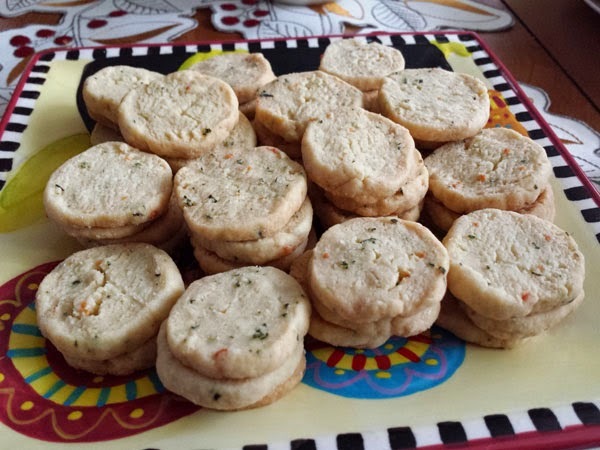 Parmesan, Rosemary and Thyme Shortbread, from Savory Simple. 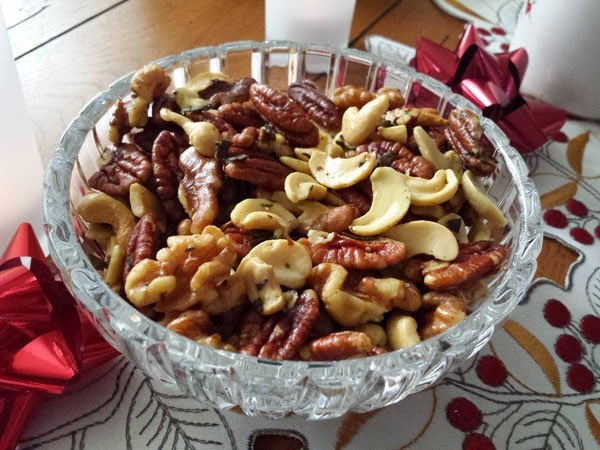 Christina's Famous Nuts, from Food and Wine. Lemon Zest, and Mint, from Saveur. 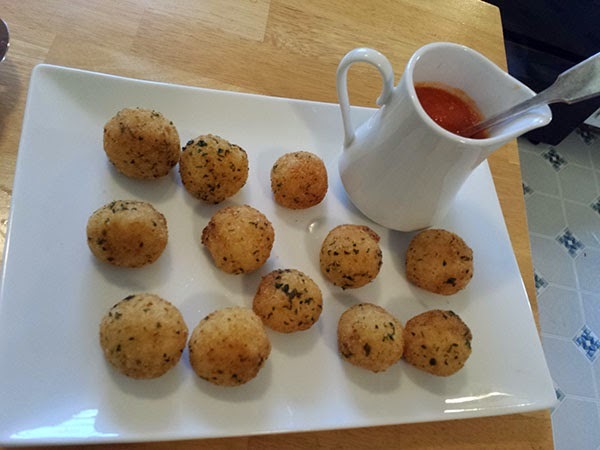 The Ricotta recipe is from What's Cookin' Italian Style Cuisine. This Ricotta is so easy to make. If you do nothing else in 2015 make homemade Ricotta. Dinner started with Cappelletti in my sister's Chicken Broth. Love in bowl! 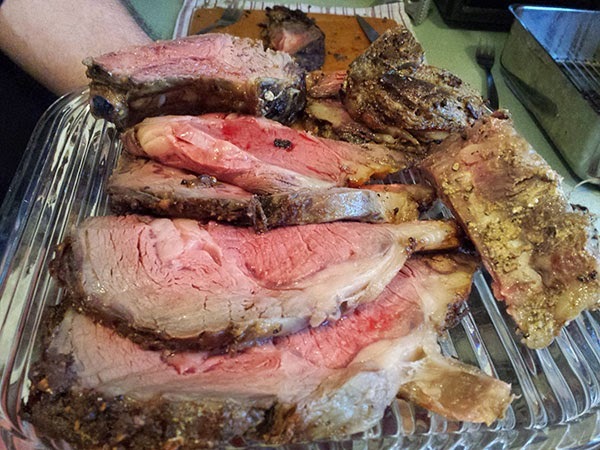 Mustard Peppercorn Rib Roast, from Chow.com. this recipe. Wow it was very good. The meat for the four us was under $43. There were 2 bones, my favorite part and more than enough meat. 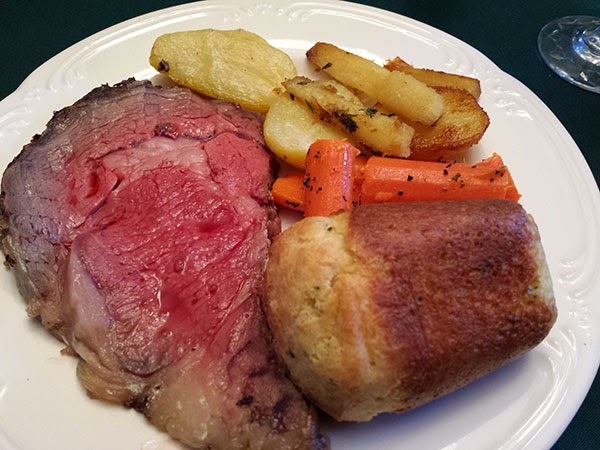 Sides were of course Thyme Popovers and something new. Chris was slicing the meat I was thinking about the leftovers! After dinner my brother and his wife stopped in after finishing their Christmas visits. 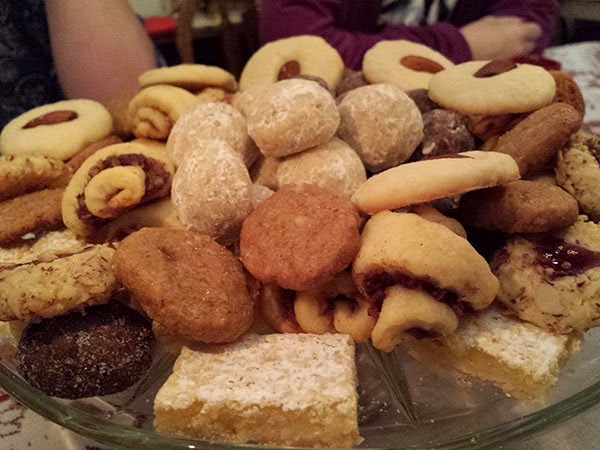 There were Christmas Cookies, coffee and cordials! with coffee cups and lots of cordial bottles. 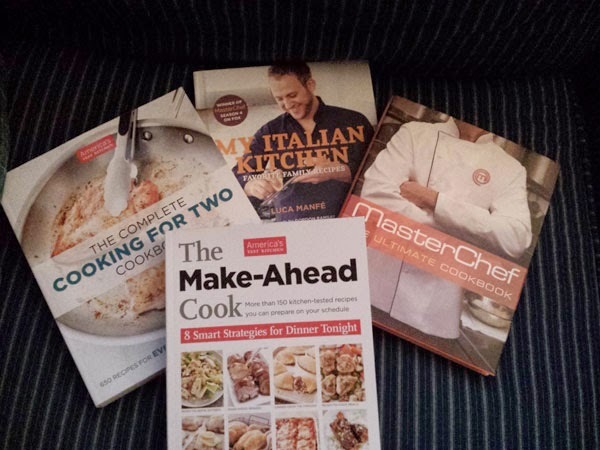 And Santa gave me some help in meal planning for 2015! Christmas is the one holiday when I like to prepare and consume too much food. It is a holiday that is packed with memories of delicious dishes prepared by so many amazing cooks that I have been fortunate to know. I try to recreate at least one or two of those memories each year to share with others or at least enjoy myself. 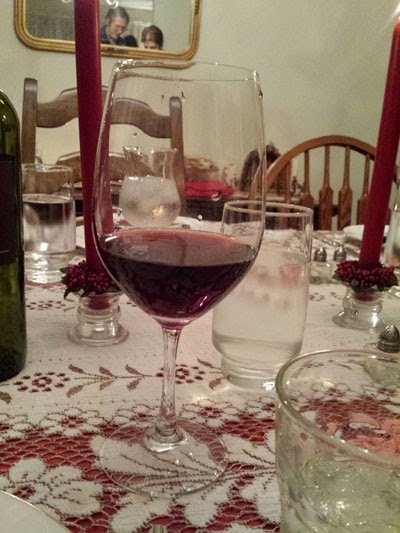 This year I had a lot of delicious memories starting of course with Christmas Eve dinner at my sister's house. 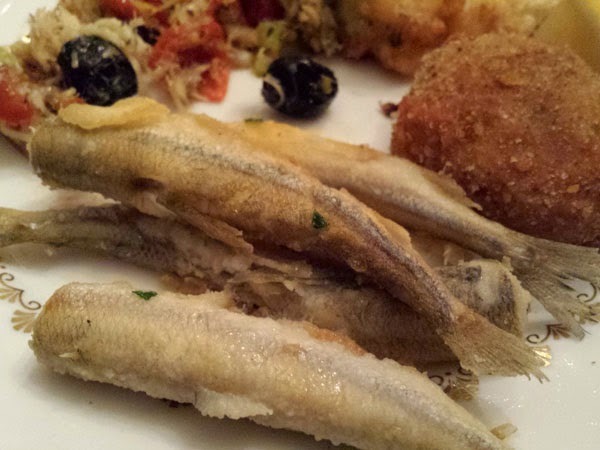 There was a lot of seafood, I was trying to keep count but stopped counting when the fried smelts were put on the table. 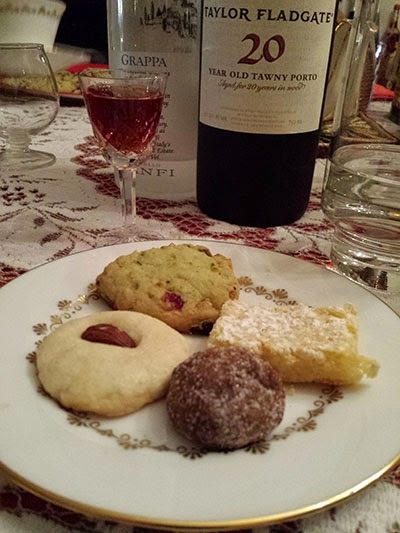 Lots of good wine and of course cookies! The Fish Sauce with Fresh Pasta. That would have been enough. 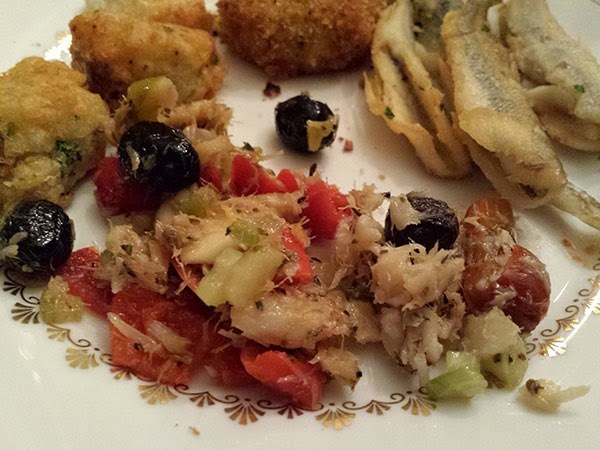 Baccala Salad, I like the spicy one! 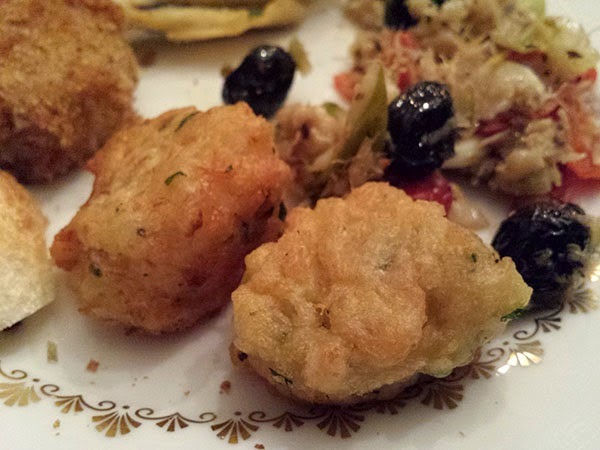 Seafood Polpettes, my contribution to the dinner. Thank you to Lenore and Ralph for another memorable dinner! I was driving home and I called Chris to discuss what we were ordering for dinner. Tonight was suppose to be Chinese takeout. But one of our phones was going dead. Okay, make it quick we will discuss what we eat when we meet up at home. No problem. As I am driving I think hopefully there are ravioli in the freezer. And there was! And there was a container of steamed Broccoli Rabe. This meal was coming together. 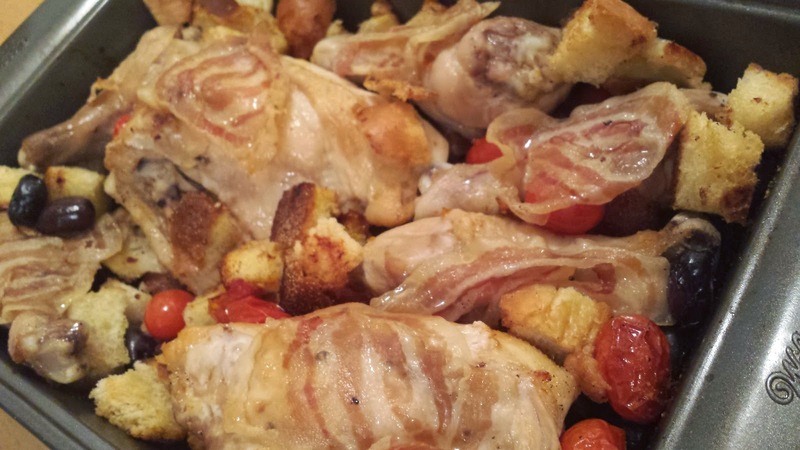 There was even a little pancetta and prosciutto in the fridge and an open jar of roasted red peppers. I fried up the pancetta added the prosciutto and let that get crisp. Next I added the roasted red pepper and the Broccoli Rabe. Some salt, pepper, a little butter and of course some white wine. I let that cook for a bit and when the ravioli were done, I added them to the saute pan with a little pasta water. Delicious! 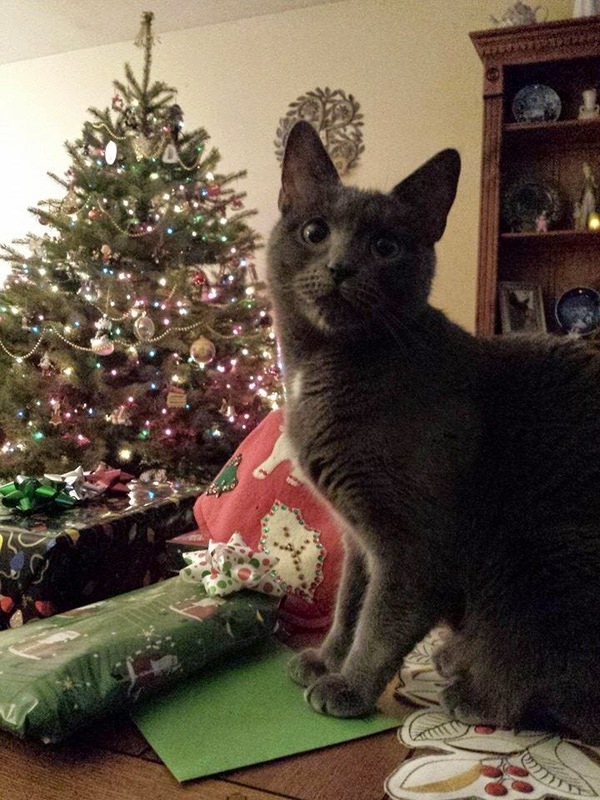 Well the tree is up. I have caught Lucy clawing at it once. 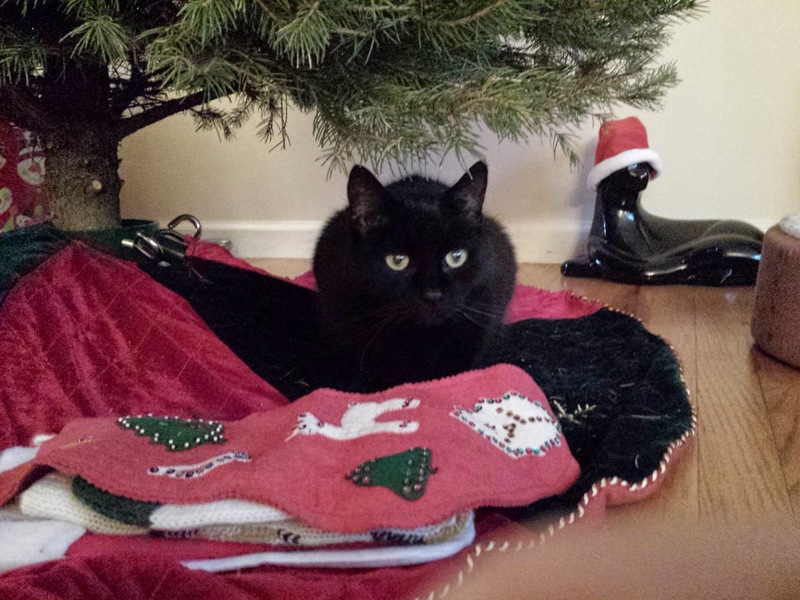 Archie was comfortable under the tree. 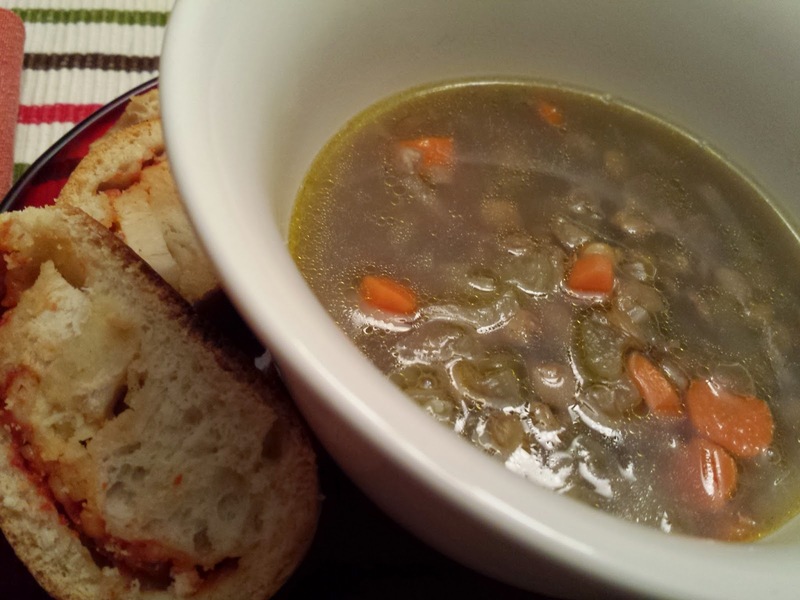 Again a day filled with holiday activity so I made a quick soup, Lentil Soup from the Mark Bittman App, Mark Bittman's How to Cook . Perfect for a chilly evening. The bread, well that was from Meriano's Bakery. Seriously did you think I was going to make bread today too! For breakfast I want to use up the cranberries I had in the freezer from our Thanksgiving Dinner, which I just realized I never posted, sorry.... I found this recipe on twopeasandtheirpod.com. 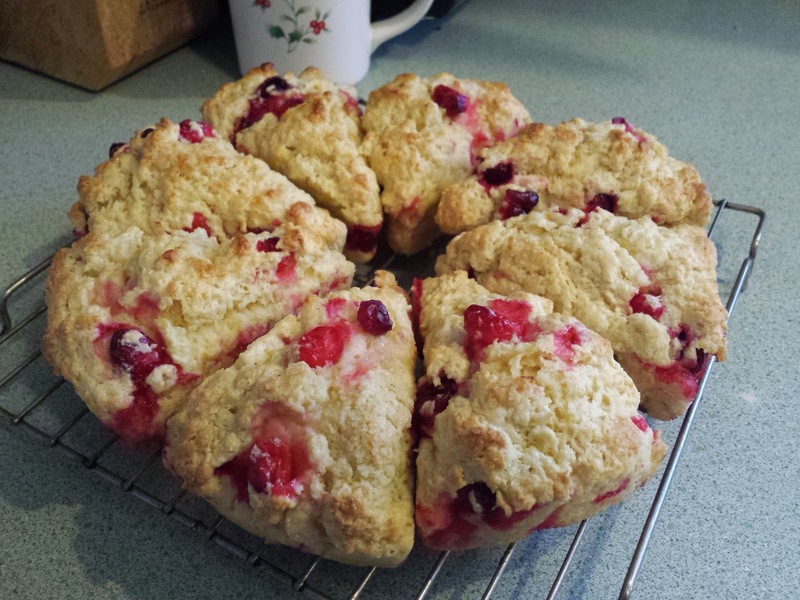 These are the best scones I have made in long time. Whisk the flour, baking powder, and salt together in a large bowl. In a small bowl, rub the sugar and orange zest together with your fingers. Whisk into the flour mixture. Add cold butter pieces to the flour mixture. Cut in butter using a pastry blender, fork, or your hands. I prefer to use my hands. Mix until you have pea size chunks of butter. In a small glass measuring cup, whisk the half and half, eggs, and vanilla extract together. Pour over dry ingredients and mix with a spatula until moist. Gently stir in the fresh cranberries. Transfer dough to a floured counter top and knead until dough comes together. Shape dough into a large circle. Use a floured rolling pin to roll out the scone dough. 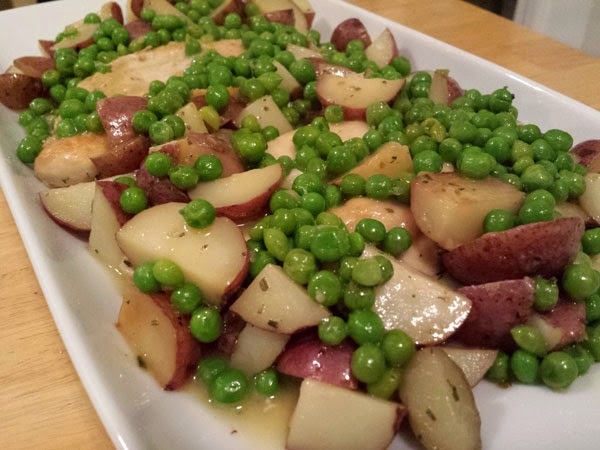 Cut dough into wedges and place on the prepared baking sheet. Brush each scone with half and half and sprinkle generously with turbinado sugar. Bake for 15-17 minutes, or until scones are golden brown. Remove from oven and cool on a wire rack.